Sri Lanka's cricket board have sacked limited-overs captain Angelo Mathews after their exit from the Asia Cup. Test captain Dinesh Chandimal will lead the team in all formats for the series against England. 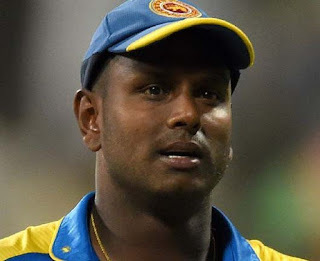 Mathews, has been criticised for his leadership at the Asia Cup, with Sri Lanka losing to Afghanistan and Bangladesh. Srialanka have lost 30 of their 40 matches since January 2017.